It's week one of the Swedish elk hunt and the sound of gunfire is everywhere. When Tuva Moodyson investigates the story that could make her career she stumbles on a web of secrets that knit Gavrik town together. Are the latest murders connected to the Medusa killings twenty years ago? Is someone following her? Why take the eyes? Tuva must face her demons and venture deep into the woods to stop the killer and write the story. And then get the hell out of Gavrik. In a small Swedish town, reporter Tuva Moodyson is yearning for something more to write about - more than the small town comings and goings in the community newspaper - so when the body of a local man is found dead, murdered, in the Utgard forest she feels like her story is finally here... A story she becomes fully immersed in telling, even when things turn dark & dangerous, with the murder investigation threatening to take over her life. With this mystery thriller being told from the view point of a journalist, as opposed to a law enforcement officer or victim as more often seen, it gives a whole new perspective to the plot and makes for a good story telling method. Tuva's investigation of the murders keeps you gripped throughout, whilst feeling invested in the characters due to the personal level in which her investigation takes - you get to know characters that could otherwise fall into the background and at times feel like a local in Gavrik yourself. Living, and reporting, in a small town means Tuva has to live with the people she is writing about, however remaining sensitive and diplomatic isn't always easy. 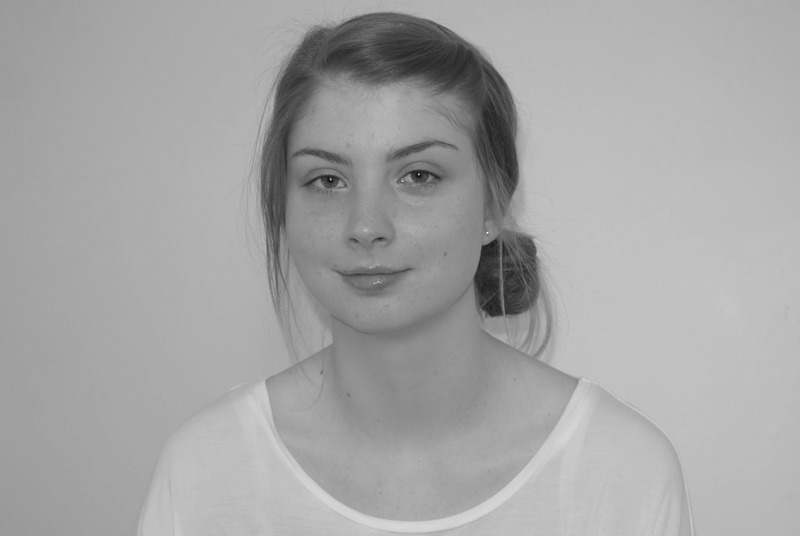 Tuva has dreams of more... She found herself in Gavrik after her mother fell ill with cancer, and is there to be closer to her, but remains very career focussed. When the murders start she feels like this is the story that's going to get her noticed and push her onwards in her career. This sub plot to the crimes taking place really added a nice element to the overall plot of Dark Pines, and I felt it helped the reader connect more to Tuva; she isn't just a character, but a person with flaws and all. Obviously the main plot within Dark Pines is the murders themselves, with a dead body arriving at the beginning of hunting season, and the crime echoing ones seen in the town over twenty years prior. There are whispers and suspicions; very much a book that makes you question what you really know about those you surround yourself with. 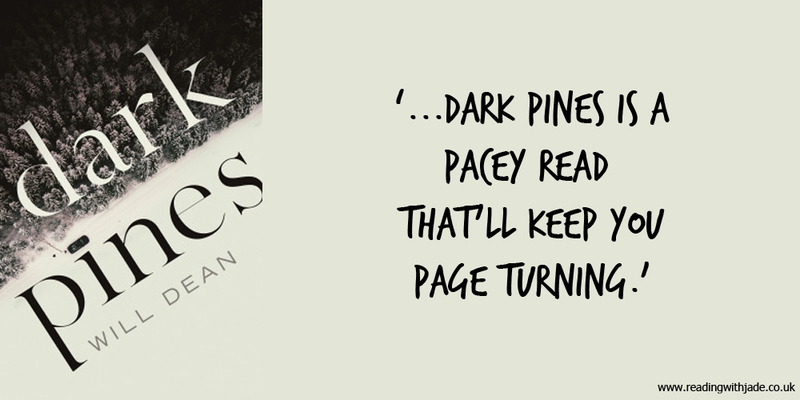 Once the scenes have been set, Dark Pines is a pacey read that'll keep you page turning. I wouldn't say the ending is entirely surprising, with the story being more about the investigation than shock factor upon reveal... So I found to be the case anyway, as I had a few suspects in mind with the killer being one of them. Speaking of suspects, there are a number of characters to keep your eye on throughout the novel - each as distinctive and distrustful as the next! Not to mention the dark depths of Utgard forest; a character in its own right. Concluding, the blurb definitely eludes to the point I'm about to make, however I think it important to make note of it anyway - hunting runs throughout Dark Pines, it is in the nature of the novel, so do be prepared for scenes pertaining to that when picking up this title. All in all I had an enjoyable reading experience of Dark Pines, a strong debut fiction novel from Will Dean, and I'd be on the lookout for more of his work in the future. Oh, if you have some on your shelves you should definitely pick one up - although they do take a certain mood to delve in. Sounds like a great book. I love that cover! The cover is what first drew me to this title - simple and dark, but yet inviting in a way... Calling you in. This sounds good and I'm in need of a good thriller. I'm not sure I've read one from the pov of a journalist so that's definitely intriguing! The story being told from the point of view of a journalist was really interesting, Katherine. I'd recommend this title if you're in want of a thriller.